I don't know if you heard, but Amazon (the online store) recently unveiled their plans to further expand their delivery service to include airborne drones that will deliver people's packages only a few hours - or a few minutes - after they order. It's all part of the big rush to ensure that there's nothing on Earth that can't be sent anywhere else on Earth. Maybe it's just us, but does anyone else out there miss having seasons? It's something that's been lost in this instant-gratification world of sending anything to anywhere. It seems like so many of the seasonal traditions are being lost by the wayside - experiences we could look forward to throughout the year that couldn't be replicated by computer screens. You can still see it in the eyes of a child, before they've gotten jaded by the online world. 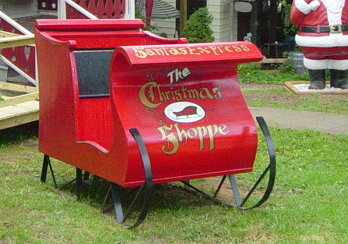 Seeing the huge 9-foot Santa outside, accompanied by a beautiful replica sleigh, is enough to convince any child they've made it to Santa's village. There are pictures a'plenty to be taken before your family even walks in the doors. However, it's when you walk through the front doors that the real magic inside the Christmas Shoppe takes over, especially if you come in the evening. It's when the lights are low that the Christmas Shoppe comes alive, full of twinkling candlelight and the pinpoints of Christmas lights criss-crossing the interior. All around the shop are every sort of toy, decoration, ornament, and other Christmas goodies that a child or a parent could want. They glimmer softly as they reflect thousands of lights caught in the mirrors throughout the store. The soft scents of fruit and potpourri fill every corner, enhancing the holiday flavor. After all, the Christmas Shoppe isn't just the best little slice of Christmas in Helen - people come from miles around for an experience that's just not as common as it once was. The cold white gleam of Amazon can't replace the warmth and love that fills an actual shop dedicated to the greatest holiday of the year. techno-crazed world... that makes it all worthwhile, every time. 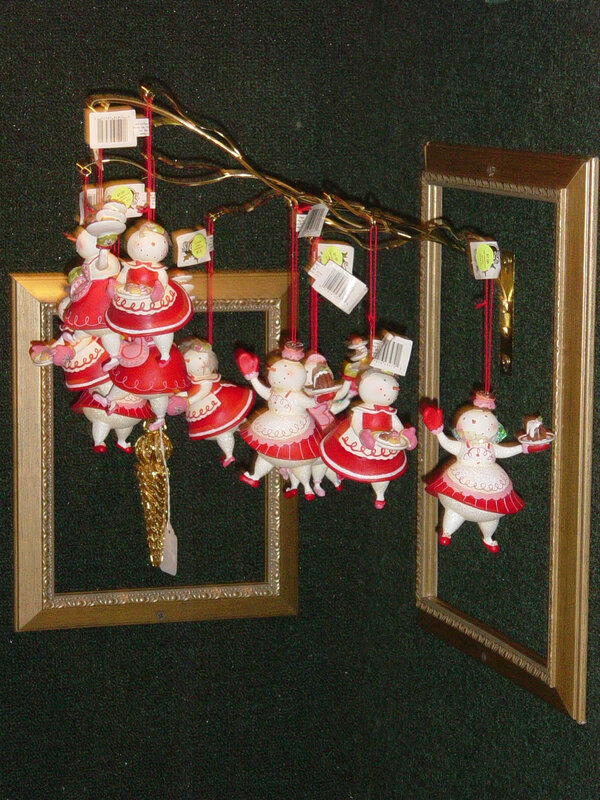 Along with one of the largest collections of designer and brand-name ornaments and decorations in North Georgia, The Christmas Shoppe brings together the artisans of the community to present amazing hand-crafted items as well, carefully selected to present a new and delightful collection every year. Helen reflects the rich Germanic tradition in its carefully-recreated architecture and town planning, and our artisans are no different! Germany has always been closely associated with Christmas and Santa Claus, traditions our local craftspeople happily embrace as they spend the year creating beautiful Christmas art for the Shoppe. When you see the beautiful handmade ornaments on display, you'll know you've found something special, that you just can't get other places... or other times of the year. Christmastime only comes once a year, and The Christmas Shoppe glad for the opportunity to make it truly special. There are decorations from around the world as well, including European-made ornaments, delicately-designed collectible plates, Russian Matryoshka dolls, teapots, snow globes, hand-painted sacred settings, and crafted nativity figurines. Or, for a bit of authentic Americana, we also harken back to Helen's days as a logging town with our own chainsaw art! Granted, most folks probably don't think of "chainsaws" when someone mentions "Christmas" (we hope!) but seeing a craftsman power-whittle a log into a charming piece of holiday decoration is a truly memorable experience... and one you won't find many other places! Put The Christmas Shoppe On Your List... And Check It Twice! There's so much to see, do, and experience within the Christmas Shoppe that your might not even be able to take it all in with a single visit. From the welcoming Santa outside, to the gleaming lights and soft scents of the store, to the variety of great craftsmen who drop by to show off their work... It really is Helen's all-in-one source for Christmas magic! 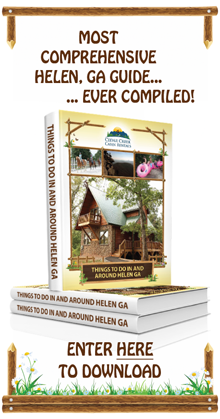 So, on your next trip down to historic Helen, make sure you include The Christmas Shoppe in your family's travel plans. It's an experience your children won't forget, set in a store that still remembers why the Christmas season is such an important American tradition, even in these technological times. And on that note, let's stop and consider: What holiday traditions do you still treasure and hope your children carry with them?